Vortex ribbon mixers do well in mixing the coconut flour with other ingredients. Coconut flour is not as common as coconut oil, coconut milk and coconut flakes. 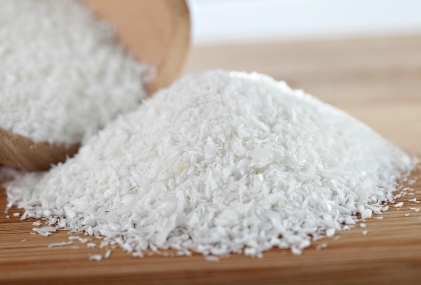 It is a flour made from coconut meats and coconut solid that have been ground into a very fine powder. Let crack that coconut open to find out where the coconut flour come from. The white freshy part is considered the meat of this amazing super food. When the liquids are strained, ground or pressed out this meat, and they dried at very low temperatures, you’ve got a batch of delicious coconut flour. It has a mild coconut scent and flavor, which makes it suitable for flour-based recipes that don’t have other strongly-flavored ingredients such as cocoa powder or spices. That’s why coconut flour is suitable for mixing with other food ingredients and nutrient powder. At this time, there will need a very good quality stainless steel mixer. Vortex ribbon mixers do well in mixing the coconut flour with other ingredients. Even though coconut floor is not yet mainstream, but as health conscious consumers check out the delicate flour’s serious health benefits (gluten free and high in fiber) and distinctive taste, it may soon be. Then ribbon mixer will be widely used in the mixing and blending of coconut flour. As the Vortex ribbon mixer consists of double helical agitator and U shaped shell, the outer ribbon make the material move from left side to right side, and the inner mixer move the material from right left side to left side, shaped a convectional, completely status and get a homogeneity result. As Sir Lanka, Malaysia, Thailand, Philippines and etc. are the main place produce the coconut, these places also will be the main producer of coconut flour. With the mixing equipment development, the coconut flour will develop soon.